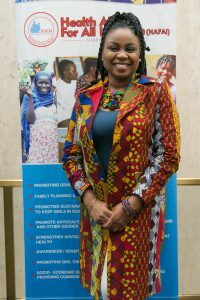 We met Dr. Ugochi Ohajuruka at the United Nation’s CSW (Conference on the Status of Women) in 2017 and again in 2018. 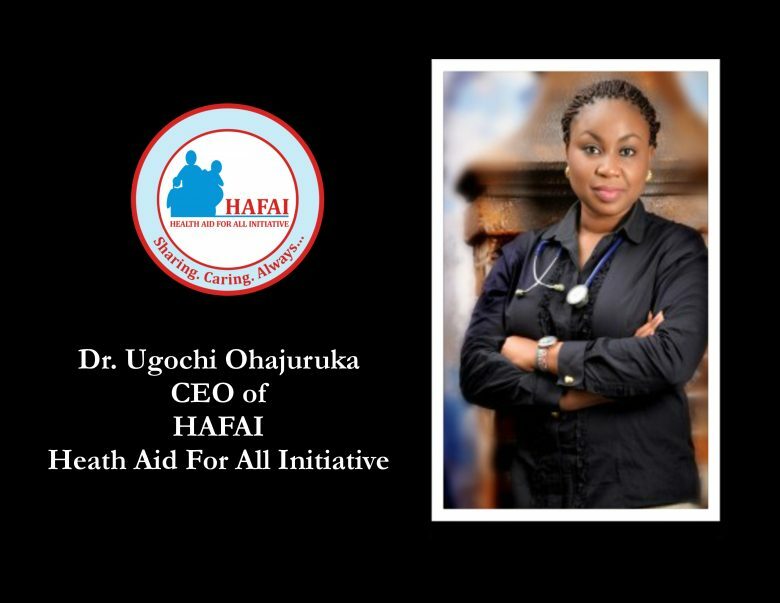 Dr. Oha, as she instructed us to call her, is the CEO and founder of Health Aid For All Initiative (HAFAI). 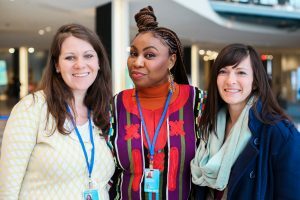 She spoke to us about her campaign against female genital mutilation, sustainable menstrual hygiene education, and her desire to empower women with knowledge and skills. She and her organization have been able to help women obtain sewing machines and then teach them how to make menstrual pads, enabling their daughters to attend school regularly. Her organization has found that when these women learn a skill, that skill changes their lives. Many girls in Nigeria are married at 13 or 14, having little education and no skills. Having this skill, women can sew uniforms for their children, so they can attend school, teach other women to sew, and make money to help sustain their families. Learning a skill changes their lives entirely. Deeply touched by the plight of women in Nigeria, I presented a plan to our local Rotary club and Rotary district governor to aid in this campaign. For every dollar that our club raises, the district matches it. In turn, Rotary International matches that total. We are also starting an Interact Club at our high school (Interact is the high school version of Rotary) and hope to involve students and make them more aware of what teens their own age face. When doing an international project with Rotary, a club in that country must be involved. I found that there are many Rotary clubs in Abuja Nigeria, and we then located a club near Dr. Oha’s office. We are in the process of making the necessary connections to assist these women. The money that we raise here will be sent to their local Rotary club to purchase sewing machines, and in turn distribute them to the very women Dr. Oha has been working with and educating. In Big Ocean fashion, these women will be empowered to help their own families, communities, and future generations. Listen to Dr. Oha at the UN here.